Spin Dragonoid is an alternate evolution of Dragonoid. It can create a tornado spin. It has multiple horns, and it can shoot out at its enemy. It can also glide in the air on the gentlest of breezes. Spin Dragonoid looks very similar to Hyper Dragonoid. The only difference is the head the horn claws and some detailing. Spin Dragonoid spins like Cyclone Dragonoid, but it doesn't spin for as long as Cyclone Dragonoid. 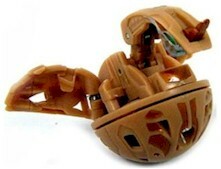 Purchase your Spin Dragonoid from Amazon now!